This is a truly beautiful car, of that there is no doubt. This car is so beautiful it deserves to be in a museum, if the said museum could actually find one for sale. During its era, the teardrop, also known as the ‘Goutte d’Eau’, was one of the select few automobiles that both redefined automotive style and won top-level races. Having successfully combined racing function and elegant form, the Teardrop became trend setting and motivated many other French manufacturers to consider more streamlined design. While all of the French coach builders contributed to the styling ‘renaissance’ of the thirties, none did so quite much as Italian-born Giuseppe Figoni. He teamed with businessman Ovidio Falaschi to create one of the most prolific and successful French design companies: Figoni et Falaschi. 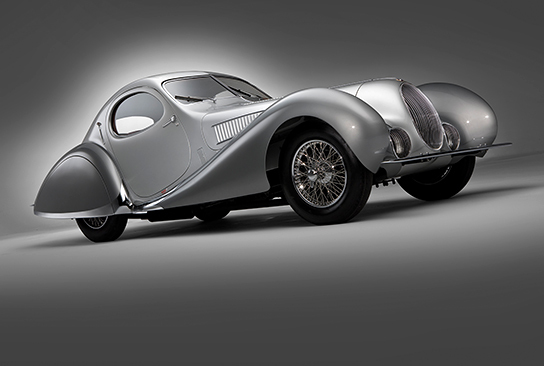 The Teardrop was Figoni et Falaschi’s most coveted work. It was, in a sense, a revolt against the more functional cars from the twenties. Here was a design devoid of any straight lines, one decorated with sensual curves which advertised speed without even moving. This style was emphasized by the diminishing pontoon fenders, called ‘enveloppantes’ by Figoni, and a converging rear end that could be called a fastback. Figoni’s flowing designs were first seen in 1935 and on the Delahaye 135 chassis. These were a direct response to the Mercedes-Benz 540 K Autobahnkurier launched a year earlier at the 1934 Frankfurt Motor Show. By 1937, the Talbot Teardrop became the ultimate expression of this streamlined era and made its seminal mark in Paris as well as the 1937 New York Auto Show. The teardrop was built in one of two different designs and on varied chassis sizes. 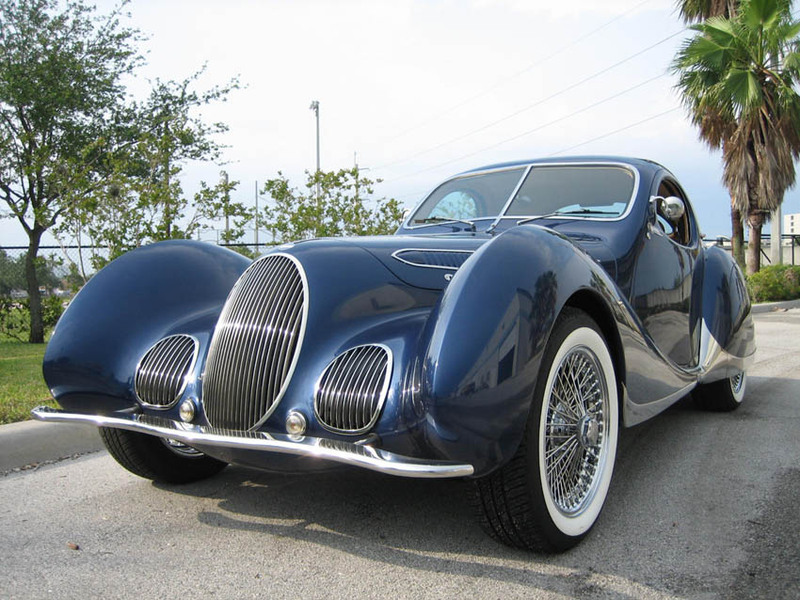 The first, called ‘Jeancart’, body was named after its first owner and was built on the larger chassis, featuring a notchback rear end with twin cat-eye windows. In 1937, Figoni debuted the ‘New York Style’ which was a smaller, lighter and more powerful car. The first Teardrop was shown in August of 1937 at the Paris-Nice Criterium de Tourism. Featuring the 4-litre engine and shortened version of the competition chassis the completed car was good for 100 mph. Remarkably, one showroom stock Teardrop raced and placed third overall at the 1938 24 Hours of LeMans. The following year 90117, a specially prepared T150C SS featuring aluminum bodywork, an outside fuel filler and other special components, raced under Luigi Chinetti, but retired on the 88th lap. These LeMans cars were followed up by a another car won its class at the 1948 24 Hours of SPA. During these races, the Talbots faced stiff competition from Alfa Romeo and Bugatti. When sold, the Teardrop was one of the most expensive cars available, thus only sixteen were completed. It is a very rare car. Each was constructed to suit the individual preferences of their first owner. While all cars share the same signature fenders, raked windshield and sloping fastback, each had distinct details such as split windscreens, optional sunroofs, louvers, chrome accents and fender skirts. Many were built for wealthy clientèle who ordered unique colors and textures to capture attention at a prestigious Concours D’elegance. In the modern world, a genuine Figoni Teardrop is an amazing sight. With a design that embodies elegant form and successful race engineering, these cars still satisfy the demanding needs of the Concours they were intended for seventy years ago. As such, the Teardrop justly deserves its multi-million pound price tag. Only 16 recorded Teardrops have been documented from Figoni et Falaschi. 11 of these were built on the smaller SS chassis, while five more were fashioned on the longer and more luxurious Speciale or S chassis. So, what do you think? Is this the most beautiful car ever made? I certainly think it has to be considered. 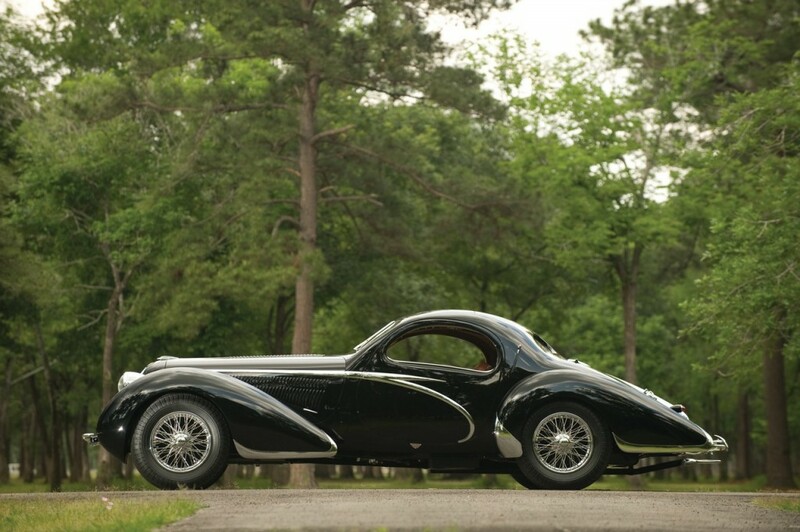 6 comments on "1938 Talbot-Lago T150C-SS Teardrop Coupe"
Hi Gilles. It’s an absolutely stunning. How much is the Talbo?  The company was bought by GC Carrossier LLC. http://www.gccarrossier.com and is building the car again. I could not agree with you more. A truely exceptional car. Stunning. I have been a mechanic/engineer/philosopher for much of my life, and one of the high points is that I was born in 1938, the year this magnificent car was made. Now if someone will only realize that this would be an ideal birthday gift, at age 80 for both of us, car and man. Lacking that major surprise, perhaps the idea would be to build a few more of them. A design like this is worthy of emulation. No doubt the 1938 Talbot-Lago T150-C SS Teardrop Coupé is one of the most exquiste cars we’ve ever had the pleasure of viewing. Perfect art! YES! – the teardrop Talbot-Lago IS the most beautiful car ever! Thanks.